On October 14, undergraduate gender studies students met up with me at the PGH Zine Fair at the Union Project to purchase zines for our growing collection at the Frick Fine Arts Library. This activity grew out of my partnership with Julie Beaulieu, faculty in the Gender Studies and Women’s Studies Program. Our partnership began during the Making Advances workshop in May 2018, when we spent a week exploring local collections, considering how we might activate these collections through student engagement. As a librarian, I believe that library and archival collections are strengthened when they are shaped by many voices. I invited Julie’s students to join me in building the collection to ensure that a diverse range of LGBTQ+ perspectives, narratives, and imagery are the foundation of the collection. When purchasing zines, we purchase 2 copies whenever possible, so that we have one copy that can be checked out like a traditional library book, and another copy that is preserved for future scholars and artists. We want to honor zines as democratic multiples that connect people and ideas through wide circulation while also preserving zines as locally-produced artifacts of this moment in history. 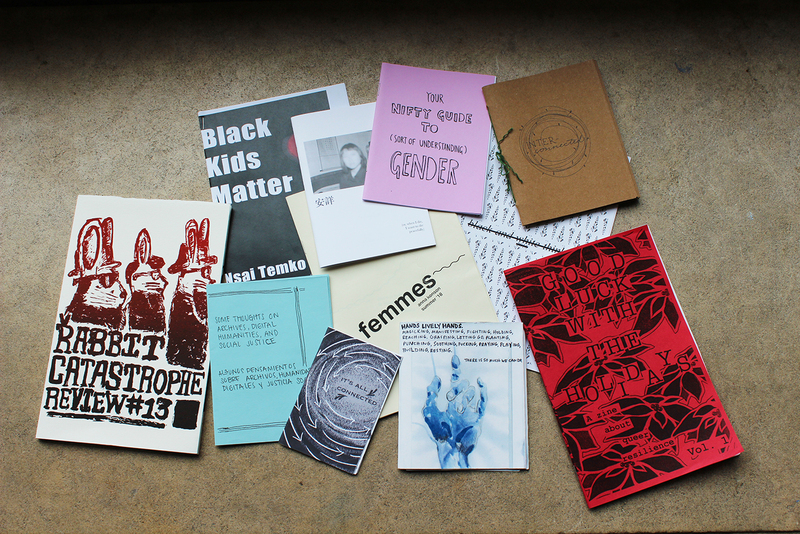 By engaging students in this process, they learn about the history of zines and alternative publishing, participate in unpacking the power dynamics that are at work in traditional collection practices, and see their vision shape the materials that will be available to future scholars and artists.